I am so much looking forward to the ADE Festival. This event is going to be just crazy with 5 days of art, meetings, workshops, showings&co and even more crazy 5 nights with a lot of great music. I gathered some useable information ahead to be prepared not to miss out on anything. I got all the information via ADE blog, so check out daily for news. 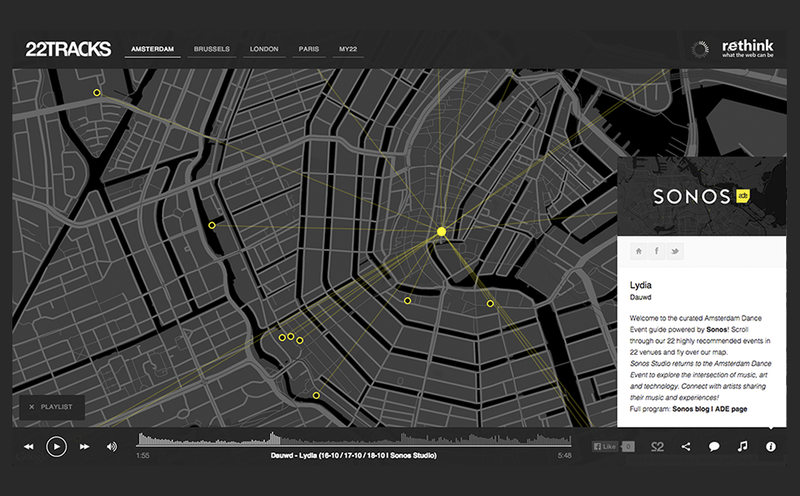 DJ curated music service 22tracks and Sonos have just launched a streamable city map with 22 prefered ADE events. The playlist highlights 22 recommended ADE events at 22 different venues. Each event features a recently released tune by one of the night’s headliners, with direct links to ticket info. Get a interactive, musical overview of some of the most exciting parties and line-ups here. Witness some of the biggest DJs on the planet showcasing their gastronomic skills. For the third consecutive year, ADE are proud to present Native Instruments and their Traktor Cookery School, a rare opportunity to witness some of the biggest DJs on the planet showcasing their gastronomic skills – all in the familiar surroundings of the elegant little cooking school between The Dylan and Felix Meritis. Since launching in 2012, the likes of Kerri Chandler, Loco Dice and Carl Craig have fed hungry guests in locations like Amsterdam, Berlin, Ibiza and Miami – not forgetting Funktion One, Resident Advisor and RBMA, who’ve also stepped into the kitchen over the years. Native Instruments are also set to return to ADE Playground with a full range of their latest technology and hardware – including the recently released Komplete Kontrol S keyboard. There’ll be talks, workshops and Native’s expert product specialists on hand to discussw the gear and answer any queries. Expect breakfast lunch and dinner to be serviced from Wednesday through to Saturday. Keep checking the site for more information closer to the event and look out for the menu board for daily updates. Enjoy a fine selection of dance-related art exhibitions and shows, anywhere and everywhere in the city centre. Last year’s Art Route centred on ADE’s celebration of 25 years of dance music in the Netherlands. 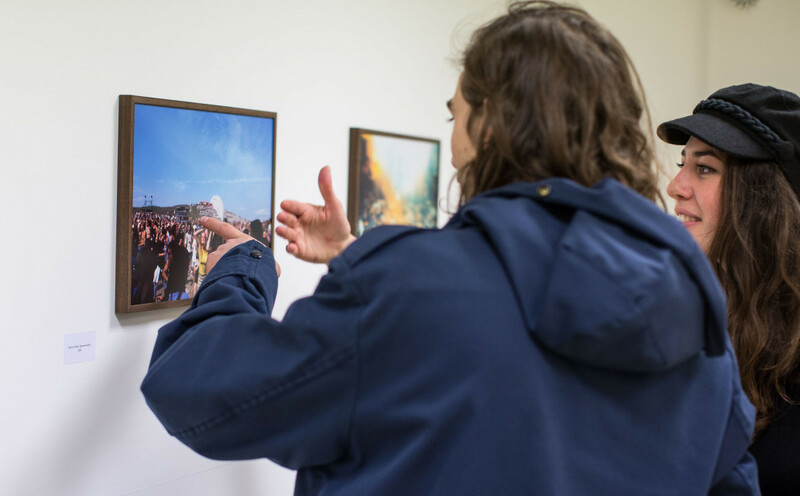 With exhibitions highlighting the work of various Dutch journalists as they catalogued the history of dance music across the country, ADE Playground’s art program took a retrospective look at the likes of Awakenings Festival, and the crucial nightclub, RoXY, as the conference discussed their importance on today’s dance culture. 1/ Kicking off on Thursday over at the Mixtup Project, Bitnoir will be presenting Open Draw, an exhibition of sketches taken of and throughout ADE. A selection of visual artists will be out and about depicting the hustle and bustle of daily business throughout the conference. The exhibition will be constantly updated as the festival progresses, acting as a visual document of daily activities. 2/ The School of Life, originally founded in London by Alain de Botton, is a place where to come and engage with a likeminded community and get ideas about how to live. During the course of ADE there will be several lectures with guest DJs and a professor of philosophy. The first class will take on October 17 at 4pm with Lammert Kamphuis at the helm. He will be joined by a soon-to-be-announced member of the electronic music community, taking an introspective look at the holistic realm of our culture. The School of Life will be holding classes at Herengracht 215 on Oct 17 at 4pm, with more dates to be announced. 3/ Over at Gallery 33, or Kuvva Gallery as it will be known as from September 18th, Stockholm-based designer and illustrator Karl Grandin will be showcasing select prints, objects and murals that form the aesthetic landscape of Omnipollo; a small scale, craft-beer, nomadic brewing project. Expect chromatic, hued landscapes and the very best in fruity, wheat beers. The program is open to the public, while ADE cardholders can gain access to exclusive exhibitions, showcases and in-store events, plus get discount on ADE merchandise. ADE cards can be acquired from any registered ADE licensed outlet for only €10,-. Here are 10 reasons why you should get one. 4/ Independent bass-orientated Belgian imprint Tangram, will be hosting a gallery featuring work from some of the label’s artistic endeavours, in addition to having graffiti artist SJEM BAKKUS on hand to showcase some oh his latest work. TANGRAMSTERDAM, at the Gallery Vriend, will also play host to select VJing and other select work from the label’s history. Pioneer invites you to hands-on sessions at De Brakke Grond from ADE’s Thursday through to Saturday, as they showcase their latest turntable technology. Given their status as industry leaders, it should come as little surprise to hear that Pioneer will be making a return to ADE Playground in 2014. The Japanese tech giants are perhaps best known for their revolutionary “CDJ” series – an industry standard piece of equipment that has become synonymous with performance. Their recent unveiling of the PLX-1000 vinyl turntable signalled their first foray into that particular market, delivering high quality sound and rugged functionality. Pioneer will be displaying not just the PLX-1000 but their full range of products – including the innovative RekordBox 3 software and DDJ-SX2 controllers – alongside workshops and masterclasses for any would-be superstar DJs in attendance. Pioneer will be hosting a hands-on session at De Brakke Grond from ADE’s Thursday to Saturday with more details to be confirmed closer to the time. Keep your eyes peeled here for more information. 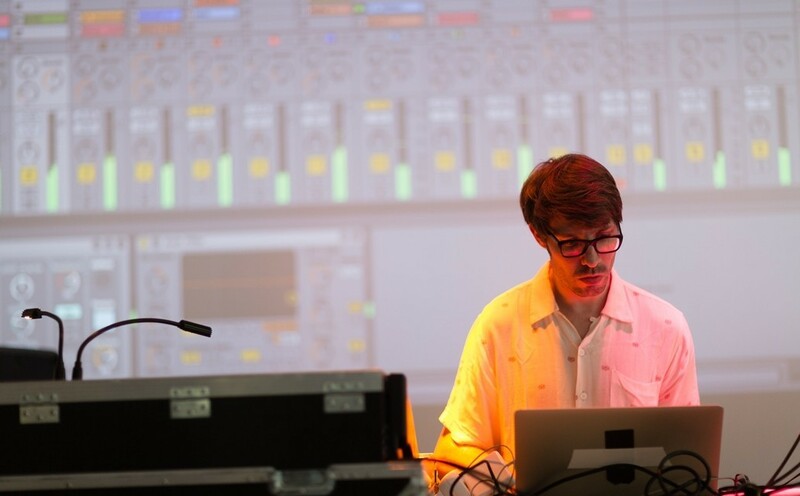 Berlin-based music software and hardware creator Ableton joins ADE playground this year, located at the Compagnietheater from Thursday through Saturday. Featuring workshops demonstrating Live 9 and Push, in addition to talks and performances, the space will play host to Ableton Certified Trainers and knowledgeable product specialists. 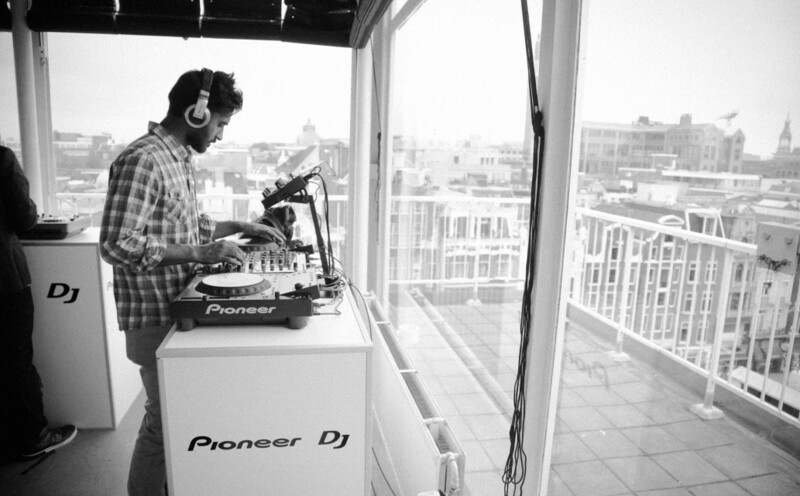 In addition, catch exclusive events featuring Kölsch, Dauwd, and more TBC. Next door you’ll find the 4DSound installation – a “spatial instrument” that allows users to “walk through space and experience sound from all directions”. Celebrated artists and Ableton Live users including Vladislav Delay, Max Cooper and Stimming, will all play on the system over the course of ADE. In addition, there’ll be Ableton product specialists and Certified Trainers on site each day to assist with hands-on experience with Live 9 and Push. More program info about the ADE Ableton Playground Space here. ADE Playground can be found anywhere and everywhere in the city centre during ADE. It is a unique, dance-related lifestyle program offering five days of Gear, Art, Film, MusicTalks and Pop-up events. Browse the program here. Get the most out of the ADE’14. If you plan on visiting ADE’s Festival or Playground make sure to grab the annual ADE Card, which gives you tons of advantages instantly. Previous Article← How Much Exercise Do You REALLY Need?